TALE OF TALES forum ~ View topic - Download issue? Need "serial number"? 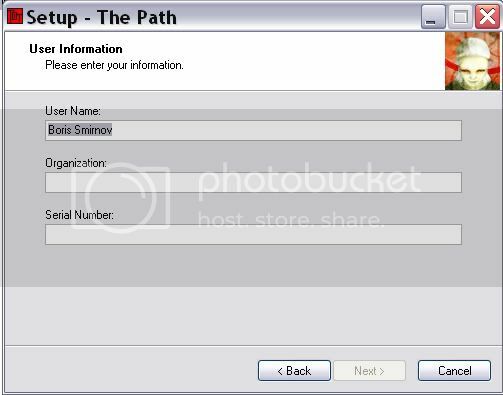 < The Path - PC problems ~ Download issue? Need "serial number"? Wha...?? What do I do?? How do I get the information I need to go on?? Do I have to rebuy it now to reget all of my info? Please help! Did you get the email that was sent to you? Oh. I should check that? My friend purchased the game for me, but didn't receive any email, nor any PayPal confirmation. However the money has been debited from his PayPal account. Do you know who I should contact? When you buy from us, you should receive an email with a download link and a serial number. If you did not get this email, just send us an email and we can resend it (reception at tale-of-tales dot com). Double check your own email address! We've had several people buying the game and supplying the wrong email address, which makes it impossible for us to help them. ok thanks. I've sent an email to the address provided above. I don't remember we ever had to provide an email address, we've just clicked "buy" and were directly prompted to PayPal payment page. Then had the download link in the web page. But we may have missed the mail.